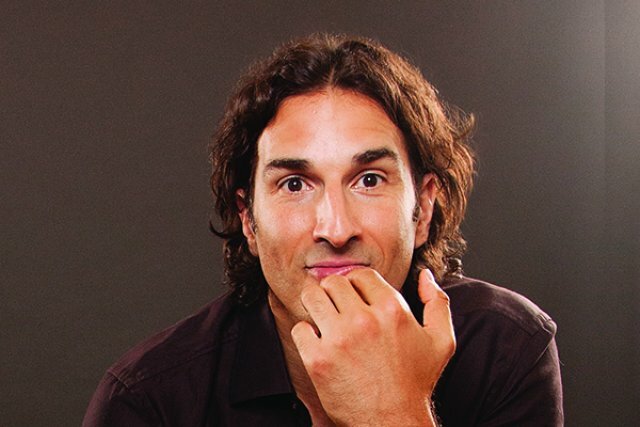 Just the other day, I was playing my Sony Discman, wondering which song would come next on the “Shuffle” mode, and I got to thinking- I wonder where Peabody’s funniest son Gary Gulman is. He appears at Comedy at the Carlson in Rochester, New York, September 6 to 8. Though he now lives in New York, the finalist on NBCs’ “Last Comic Standing” and regular on late night shows and other vaunted venues is not in any one place for too long, as the former Boston College football player and high school teacher continues to combine bruising punchlines with intelligent humor as he tours the world. On November 2, Gulman will come back home to perform at the Wilbur Theater in Boston (https://thewilbur.com). Who knows, he may even spend the night in his childhood home, safe and snug in his Star Wars bed sheets (TMI, Gary?). How did you go from Boston College tight end (on a scholarship, no less) to stand-up comedian? More importantly, what did your parents think about it? I think the tight end thing was confusing to them because I had been kind of a passive, sweet kid and then, all of a sudden, I got really big and got a scholarship to a good college, so they put aside their doubts and accepted this opportunity that was pretty phenomenal, because I had only played one year of high school football. The great luck was that I failed as a football player. Now that I learn about all the dangers associated with the game, I think I was luck to get out without any long-term side effects. When did you get the comedy bug? Was it like Jackie Mason- telling jokes in shul and realizing you could draw a bigger crowd than the rabbi? It was 25 years ago- October 8, 1993 was my first open mic and Nick’s Comedy Stop in Boston. I have thought of quitting many times, but I have stayed in the game and I am so grateful I have because it is such a fun and rewarding career! How have you evolved as a comedian over the past 25 years? I started out as more a strict observational comedian and then, as I learned how to write better and take more risks, I started telling long stories. I think they refer to it as “long-form” comedy. I think that has distinguished me from a lot of other comedians. I think a lot of people point to that as the difference between my style and some others. The other thing I have done is to start to get more personal about my personal life and my background and my childhood and my life offstage and that has been very helpful because at some point you run out of things to observe outside yourself and it becomes necessary to take a deeper look inside. I think people have responded in a very positive way to my more autobiographical stories and jokes than even some of the stuff I have done earlier. Do you see such introspection and openness as a through-line for comedians, and perhaps for Jewish comedians in particular? I think a lot of comics are more open about their lives and their foibles. Growing up, I was always so enthusiastic and felt so relieved when I heard Gary and Richard in particular talk about their struggles and neuroses. I found it to be a revelation to hear them admit to being weak and insecure or fearful. That was really empowering to know I wasn’t alone and I find a lot of people, when they hear my stories, they tell me that it helps them and I am really encouraged by that. Is it hard being a 6’6” Jewish stand-up - as you might say - in this economy? I say that I’m physically an outlier in the Jewish community, but I line up with a lot of the traits that have been attributed to Jewish men- I’m bookish and neurotic and sensitive and creative. So I got these physical gifts, but I still line up with my brethren in a lot of significant ways. Do you try to bring a little extra for Boston-area shows or do you have it all so down now that it just roars every night? I don’t do any jokes that people have seen on any of my specials or albums. I like to turn over my material. I also take notes throughout the year on everything, but I have a special list of stories and observations that I make about Boston, so it can be very specific. You can't rally talk about Bernie and Phyl and Harvey Leonard in Des Moines, Iowa, so I have notes that are just for the Boston show and the people really appreciate that. I find it so fun that I can make fun of things like the Phantom Gourmet and the Boston “tragedy” of losing the Super Bowl. So I am very enthusiastic about the Boston show. I do it pretty much every year and it is always lot of fun!